Former Projects Director and current President of AEGEE-Europe Réka Salamon, from AEGEE-Aachen and AEGEE-Debrecen, is an active AEGEEan since 2011. She has covered many different areas of the association and now she is running for a second term as President of AEGEE-Europe. We reached out to her for this interview and also asked her the questions we received from the Network. The AEGEEan: You mention bringing back more thematic conferences. How do you plan to do that? Scenario 1: We provide more space to connect with each other at key events. Imagine thematic projects being born during the Agora and NWMs. When locals come together, share experience and knowledge and want to realise things together, realising they are already working on similar projects and the European dimension can only add to it. The thematic conferences are managed by a small core team from all the locals and the hosting locals don’t need to be found by open call – they came up with the idea on the first place. For example: is your local organising activities related to education about the EU? You can find ten more at least in the Network! Scenario 2: We as a Network identify something topical that is crucial in the development of the future of Europe and select it as a topic of… not only the EPM, but a topic that a series of conferences should explore. A yearly plan/Flagship topic for the Network. With more conferences taking place in different parts of the Network (under the same or similar theme) we can truly explore not only what AEGEE’s opinion is, but also the conferences should be open to the local community/city students so the locals can recruit new members with conferences. Example: why don’t we organise a series of thematic conferences on the Sustainable Development Goals of the UN? Focus and funding are all over the place! 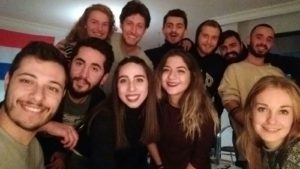 Your programme is based on analysis of the current situation, that you were able to conduct thanks to your extensive experience and your consolidated presence in the AEGEE House. Have you already shared your perspective with other actors and have you found common ground to work on? How do you think you can convey your vision to the Network? Réka: The document has been continuously shaped based on a lot of data and discussions, new perspectives and new input that reached me. And it should still evolve with more discussions and reflections. I do not think I have the ultimate truth, nor the perfect solution to our problems. The document aims to provide information based on a lot of research, and it also aims to provoke in order to gain more attention from more actors, as well as being an invitation to a conversation where we can rethink and rebuild together. To convey the message: my vision is a stronger AEGEE that can be a real change-maker in the future of the European continent – the document is only a tool to provoke discussion, and to agree on working together with the Network on the solution. You stress that going back to a simplification of AEGEE would increase flexibility, which is often mentioned as a failure of an overly bureaucratic system. How do you envision that? 1) Give a direction to the thematic work (keep the focus areas and their aims, but without a pre-drafted Action Agenda homework), 2) rebuild a Strategic Plan that is a smart Growth Plan for the organisational improvements (with external consultation and careful assessment of our resources), and 3) the organisational bodies’ work to be clearly connected to this Growth Plan (be able to provide trainings and meetings for Committee and Commission members). AEGEE’s structure should be simplified according to a needs-based approach: what are the needs of the Network? 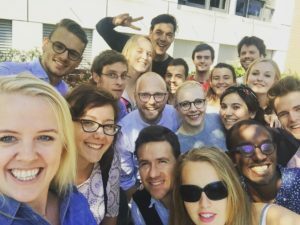 What are the needs of the AEGEE-Europe head office? We find where the needs overlap and we create/keep those bodies on higher priority. Simplification and clarity will bring us more members. In this world of information overload, we need to keep our message clear and what we offer to the youth of Europe, easy to understand. “Fixing the system” and “being a cold-headed robot” sounds a bit detached when talking about a Network of people driven by passion and belief, as you point out in other parts of your candidature. Why this choice of words? People often see me being cold at first, so I learned how to play with it. I am fun when I feel the atmosphere allows me to relax, and I have the crazy passion that is ready to move mountains, limitless in possibilities. But I am also a smart manager of too many things in a too-complex organisation. The level of engagement in different matters is really different between AEGEE volunteers as well as their expectations of the very few members of the CD. Your AEGEE State of Play document is very detailed, but also very long and technical. How would you summarise the key points in it for first-time delegates? a. Question the status quo – let’s simplify the way we do things so we can breathe again and AEGEE’s crazy passion can run free! b. 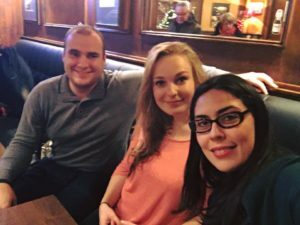 The relationship between AEGEE-Europe and the AEGEE Network needs marriage counselling – we need to strengthen the work of AEGEE-Europe bodies to provide better support, but we need to do it with more trainings and more meetings! c. AEGEE is a playground for the members as it is the change-maker for Europe – let’s use our biggest events to the full and have spaces for the best ideas to come together and build a better Europe together! Agora is a space for the democratic process of the association. There is already enough discussion on how much time do we have, how long Agora is, how little flexibility we can allow with the programme. How do you think we could manage to fit a thematic part as well? And how would you see EPM, if Agora also becomes thematic? A lot of discussions around the Agora are quick-fixes in my eyes. Like tackling surface issues when we should just be taking a clean piece of paper and identifying what kind of event we need and what kind of event we want. Agora is not just any event, it is the beating heart of AEGEE, and we literally have to feel its importance in order to clear our schedule, check our finances and want to go to Agora, not only because it is antenna criteria, but because it is mini AEGEE! Scenario 1: The concept of the Agora has to be clear: it is a general assembly, it is a huge youth gathering, it is a primary meeting point for the AEGEE Network. At the moment it is 80% general assembly, 5% youth gathering (with conference? ), 15% meeting for the AEGEE Network (social programme). What if we could reduce the general assembly sessions by having targeted consultations about the proposals during NWMs already? What if we had continuous communication about the activities of European Bodies during the year and only the most critical questions would be discussed at the Agora? What if we had fewer elected positions (that we are usually lacking candidates for) and the people taking leading positions could prove themselves by good work and not gain trust by a funny stage presentation? These modifications are all possible. Scenario 2: This is a bit more complicated, bear with me. Agora, being the biggest youth gathering among other organisations, is one of the biggest fundraising opportunities, not for corporate but for institutional fundraising and the development of a network area. Imagine a huge thematic project for an area having its opening conference at the Agora, involving the local community and continuing with events taking place in the surrounding locals as well in the upcoming year. The European Commission would love conferences with 700 people where we kick off large-scale Erasmus+ funded projects for the development of our locals, and raise awareness about EU policies at the same time. It’s a win-win! Do you believe AEGEE reaches out to “all those who are unheard, all those who are disappointed” in the broadest possible sense right now, or has the potential to do so? AEGEE being inclusive/non-inclusive is a never-ending discussion. I believe in a lot of cases we want to be inclusive but we might not be able to afford the tools to do so. I want AEGEE to be the organisation truly for everyone in Europe, interdisciplinary, students and youth, we can be the destination for everyone from the politically frustrated to the one with disabilities. This approach needs to come with two important things, however: an agreement to live up to our values of being inclusive in our daily practices, and what we are lacking: the management of resources to be able to have bigger outreach. AEGEE’s impact needs to manifest in rising numbers of membership, greater recognition gained, the unheard and disappointed seeing AEGEE as their place to better themselves, and Europe. In a Europe that is burning in all corners, AEGEE should be the ultimate destination for people who want to build a future for Europe! You are running for CD for the 4th time. Do you think it is fair to the current generations of AEGEE members, as if you win, you take away their chance to develop AEGEE and will make them a lost generation? I did not get elected the first time. I do understand the concerns though. Still, I strongly believe that difficult circumstances require extraordinary efforts. CD is a very demanding experience, but is also the entity that shapes the Network substantially. With the lack of candidates for CD in recent years, and some of our members jumping into the CD too fast, we have to ask ourselves, isn’t it experience and knowledge that is needed in order to develop the organisation? In addition, I think AEGEE members have plenty of opportunities to learn in the organisation without aiming straight for the “highest position” and becoming members of the CD. There have been many cases where even experienced members crashed under the workload and left demotivated and broken. 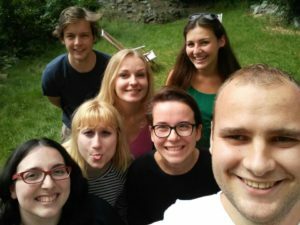 AEGEE’s membership cycle shortened, but the opportunities to learn have stayed around – launch a project, become liaison officer, run for the Network Commission to help the locals etc. There are many opportunities. I am aware that my intentions are unprecedented. But I strongly believe that in the current state of the organisation, we need continuity and stability. In a changing Europe, with many new challenges emerging, many of our mechanisms being outdated, and the competition with other organisations being harder to manage. I don’t want to stay for much longer; but I want to use the peak of my knowledge to facilitate the process of rebuilding AEGEE’s internal system, to be the real change-makers in Europe that we have always meant to be. After two years in the CD, do you think you still have the understanding of the reality of the locals and the connection with the people and Network? Actually, my understanding of the work of CD has been moving towards seeking a bigger connection with the Network more and more during my time in the house. With the first year dedicating all my energy to strengthening the thematic work, to the second year, trying to juggle a lot of different external inputs that can bring something great to AEGEE – I was continuously seeking connection with the members, to make sure I always have a reality check on my work. 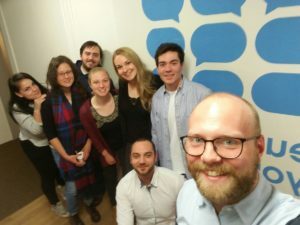 Understanding the needs of our Network has always been a challenge, but initiatives like “CD on Track” have given me strong insights into what really matters: I am amazed by the work of all our volunteers in the AEGEE locals. I enjoyed doing “What is AEGEE” workshops for new members and being back at a university fair promoting AEGEE to students. I wish I could visit the locals more, and bring more insight from the head office directly to them. Populism is happening now in Europe, and we had an EPM about it. Do you think it is also a problem in AEGEE – do you think populism exists in AEGEE? I am curious how we increased the Network’s understanding of populism during the EPM: did we also have the chance to discuss objectively the negative and the positive elements of populist movements or actions? Did we just condemn populism as being bad or did we explore the other side of the spectrum as well? Have we tried to understand the psychological drives that make people so receptive to populist narratives and how it cannot be labelled as good or bad? I admit to making statements myself that resemble populist narratives – and I do so for provocation. It is a tool to strike up more straightforward conversations, to try to discuss and analyse things together. Let’s question, let’s debate, let’s reform. But let’s do it together. Are you a team player? 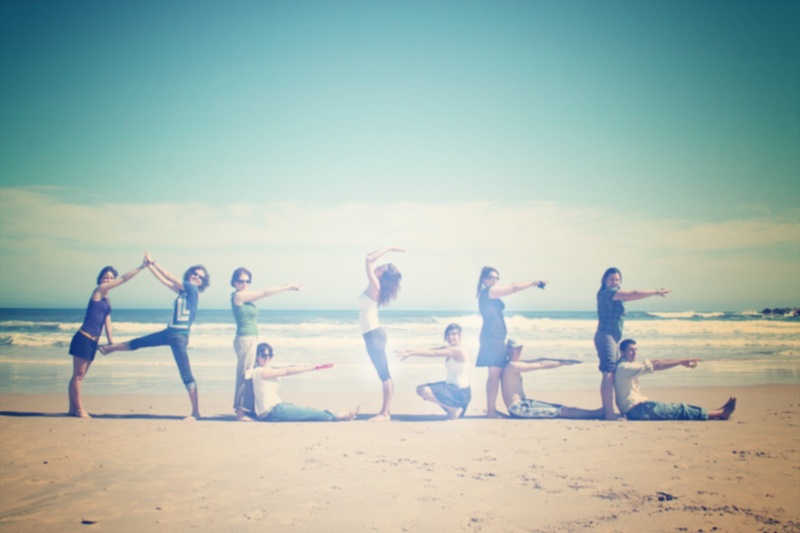 Do you think your CD team sees you as a team player? There are different roles in normal team dynamics that one can take. I take the role of team support usually. The person the others can rely on under any circumstances or hardships and the person who bears the final responsibility for the things finished/unfinished. When you think of the work of CD, you need to imagine an environment where you are friends/colleagues/flatmates at the same time and you are as much dreamers as you are the executive board and head of administration of an organisation of 10.000 members. My CD team does not always find me a team player in its normal translation, but they know they can always rely on me. I make conscious decisions every time I oppose or am critical towards things; I received the mandate and trust of the Agora to guide things in the organisation to the best of my knowledge, skills and experience. We learn together with the CD by challenging each other and understanding that there is not black and white, good or bad sides of any story. How do you understand the vision of AEGEE? Do you have a political vision for Europe and what is it? What are the three biggest European challenges and how can AEGEE respond to them? AEGEE is meant to be the driver of change in Europe, the organisation that redefines the status quo of the European integration project. You don’t believe me? The fact that AEGEE operates as a network of cities is a political statement of its own! We challenge the way societies are built, we connect cities and communities that are influenced by national policies but are units with their own governance and management. The future of Europe relies on the power of the cities – where the real people are, where the real conversations and real change can happen! Europe should rethink its political construction by turning more power back to the citizens, by strong educational policies, strong measures to balance inequalities between member states, and even raising Europe’s status as a global actor. All this can and should only happen however, with the citizens’ contribution and awareness. Erasmus has built a generation that breaks down borders, now it is time this generation also takes a bigger role in leading the process of revitalising Europe. The three biggest challenges Europe faces right now can be analysed under many lenses – but maybe it is more important to notice the pattern of history that is repeating itself. Citizens losing trust in the system, the fear of the unknown and new cultures “invading”, the yearning for security and protection; these social factors have always provided fertile soil for extremist movements to rise. How can we anticipate the citizens’ reactions and make sure to build a powerful counter-narrative that re-establishes their faith? Not by new campaign promises, but on the level of emotional connection? They need to see the passion of the youth redefining the status quo and we need to remind ourselves of the values Europe has been built upon. What’s your leadership style? How would you describe yourself as a leader? I would say I am a strategic leader. A lot of thinking goes into my actions, yet I rely a lot on knowledge and intuition as well, all in service of the vision and higher purpose. I read people with care and try to understand the motivation behind their actions, so I am able to work with them. Thinking cannot be the strongest trait, yet careful deliberation of causes and consequences has to be part of the management of an organisation. I try to be the safety net for people and accommodate their everyday functioning, comfort them and talk to them when they need support. I am a visionary person, but a pragmatic idealist at the same time. The visionary side of mine is someone who should come forward more often but it really depends on the right environment and people around me. We all feel spaces and people we just connect with, aspire to be and feel good around. I have a really good feeling about some of the people who are running for the Comité Directeur during this Agora, and I believe we would be able to accomplish great things together. In your application you said you can’t ‘get a life’ because AEGEE needs fixing. Does it mean that if you are elected, you will run for President again next year if AEGEE is not ‘fixed’ yet? I am preparing for this Agora with the calmness of knowing clearly what I believe in and what I stand for. I believe in the transformative change that AEGEE can make in Europe, as well as I stand for the change that needs to happen inside the organisation in order to make Europe happen. I am ready to give one more year with the most knowledge on the organisation and in the external world, but this year will be dedicated to rebuilding internally. I will probably not get to see the long-term outcomes of a transformed and strong AEGEE, it will take years to grow. In this new system, the change we want to see in Europe is the only long-term objective we will put forward. We can continue exploring Europe, we can organise bigger and better events, we can join case study trips, we can let our youth and energy run freely and build a better Europe by every new member joining, every new city that welcomes an AEGEE local. I will not be President any more when this becomes a reality – but I can play my role in setting the course towards this direction. Thank you for all of you under “we”. This is probably the most critical point listed in my analysis and I understand all the concerns raised below. I will try to explain my reasons but I would also like to invite you to find me for a chat on Facebook/Skype/whatever works for you. You wrote in your document that you personally don’t feel well about the new working groups. If we were to change the system that Agora adopted, what is going to be the role of the WG? What are they going to do? What is going to be the support for different WG? What is going to happen with all those people who had made a real effort to make these WG real in the new Strategic Plan? What do you want them to do this year? The Working Groups would go back to their original loose structure (similar to current interest groups) where people can play with ideas, discuss and realise projects together when they want to take bigger initiatives. WGs have always been key to bridging the gap between the local and European levels because of their easy-to-access nature. 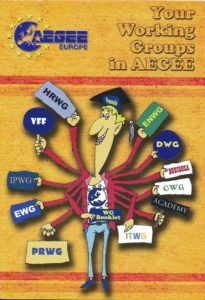 WGs could also request financial support from AEGEE-Europe for their activities as well. If a motion would stop the Strategic Plan from coming into effect, the people who wanted to work on the topic can still continue working on it. Would the motion really change your interest in the topic you want to contribute to? Would it really change your belief, would it make you feel less passionate? You are free to realise projects with the others, organise events for your local, organise street actions, campaigns… there is nothing standing in your way. ACT will not have any impact to measure, is this EB going to disappear next year? What is going to happen with all the members already committed with this EB during 2017-18 term? The AEGEE locals are organising a lot of amazing activities that can and already are being used for impact measurement. The only difference would be that we will not read out in the presentation, which AA objective is fulfilled, which one is half-fulfilled and which objective is not fulfilled. The people who were active and engaged during the EPM in drafting are also free to pursue the ideas they came up with by local activities, attending more training courses, discussing with AEGEE members during the events. The Action Agenda does not give permission to do things, it gives direction. Even without the AA, there is nothing standing in active members’ way to take action. What is going to happen with all the time and money spent during PM León, EPM Zagreb, Agora Chisinau and Agora Enschede? What is AEGEE going to be without the thematic part in all the events? Are we going to have EPM 2018? Agoras or other events won’t discuss anything related to the thematic part? Will we just discuss topics related to the AEGEE bureaucracy? How can locals and other European Bodies recruit new members if we only focus on the structure and bureaucracy? How are we going to start after a year’s gap with everything planned so far? What is going to be the main difference between AEGEE and other international associations without a strategic plan? Money and time have been spent on exploring what AEGEE members are passionate about, yet only a small part of the membership has been reached (based on data). The thematic work of the organisation would not be stopped – how could it be? We have active interest groups, some active working groups and projects, and they are not bound to a document that has been loosely followed for the last decade. Of course, we will have EPM with a thematic topic of the Agora’s choice, of course we will have thematic discussion at events. We have the freedom to realise any actions we want as long as it follows the values of AEGEE; thematic activities are our very essence, and what would make us stand out would be the action we take and not the nicely worded internal documents we adopt for ourselves. Could you explain us a little more about the idea about 70/30% of English / national language? The idea stems from my genuine curiosity how we understand inclusion and empowerment in AEGEE. While many of our events on the local level are in the local language, or some in English, there are also those events where we should be strategic and keep the main objective in mind. Meaning, if the Network Meeting’s main purpose is to give space for locals to connect, to share and learn together, we need to make sure everyone feels included equally. Many AEGEEans speak good English but if you have just one friend around who is telling you they are not speaking up because they are not comfortable with their English, this person might have amazing ideas for the development of the network that we will not learn about. Network Meetings should provide more space for opening up and honest discussions, and using your national language could comfort you more in certain situations more than listening to English-speaking trainings half of the day, but not feel connected to it. You talk a lot about going back to the past and to the roots of AEGEE, using tools and structures from the past. Do you think they fit into the current context and the society we are living in now? I strongly believe understanding our past, the challenges and victories can bring us valuable lessons to have mechanisms and face challenges of the present with knowledge of our capabilities. I don’t think the past practices fit any more, but their stories are both cautionary tales as well as serve as great source of inspiration to solidify our identity. Our identity of a network of change-makers. The most important mechanism I have learnt from all the time digging into the past was that we need to aim for simplicity in our functioning and need to have a clear identity to feel for what we strive for as a Network. The society we are living in now is a high-functioning information society where your brand and the key message of your actions need to be clear and simple. We can grab the very essence of AEGEE’s existence and simplify its message to overcome this challenge. Your candidature sounds a bit like a description of problems in AEGEE. Can you mention what will be your priorities and concrete solutions for all these problems? My AEGEE State of Play document wants to provide the context for my candidature which is in the official form. Since I am running for a third year in the board, I saw a huge responsibility in my actions to show that I know what I am talking about when I propose ideas and improvement points that AEGEE needs. Simplification of the structure – align our priorities, train our members in organisational bodies, find more resources for the thematic activities! AEGEE Identity: what unites us as a Network, what is our niche that makes us unique? Since all three things above are going deep into AEGEE’s current functioning, the change should happen with the awareness, understanding, cooperation and cohesion of the Network. If I understood your vision correctly, one of the current obstacles to AEGEE’s health according to you is that a lot of things are being done top down. Now, one solution you offer is taking a year off from the Strategic Plan. This process feels like it could become very top down itself and it could kill AEGEE as we know it and the enthusiasm of the members. How are you planning to prevent this? AEGEE has seen top-down changes for the last ten years with one reform implemented after the other, mostly top-down. What I stand for is the change that provokes and needs everyone’s attention, one comprehensive review that would include all actors of this network, in order to have a realistic overview of where AEGEE stands now, what is our capacity to grow and how to make it happen. I highlight the importance of involving everyone so that the final outcome is something we all own and feel for. This does not mean of course, that the whole Network would work on internal structural reform, no. I need one representative from each local and European Bodies to bring the voices of everyone to the table. In the meantime, the rest of the members can continue pursuing all the action and fun they wanted to explore in AEGEE.